Re: Liberty Exiga with STI badge! I shake my head at every Exiga. the nice one or the down syndrome one? 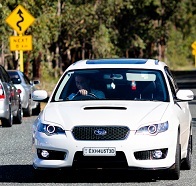 soooo glad Subaru AUS has stopped production of this beast trying to strut a subby badge. all STi wannabe's that badge their car as STi piss me off, regardless of make. 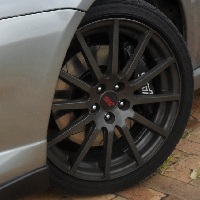 Maj3sticCr0w wrote: all STi wannabe's that badge their car as STi piss me off, regardless of make. subaru need to stop this nonsense. the 7 seater car shouldnt have been reserved for the liberty wagon, it should have been reserved for the tribeca... those "cars" are hideous enough to start with so why should they have ruined a lib wagon? 'half black half silver non turbo gen 4 sti....cost me 55k!' from some dude in Mayfield who had a unicorn on his display photo. So even if I've spent thousands on my Gen1 installing STI Parts I can't have some sort of STI badge on it??? 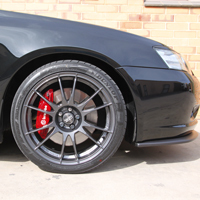 Car: Subaru Liberty GX AWD '92"
monkeyboy17 wrote: So even if I've spent thousands on my Gen1 installing STI Parts I can't have some sort of STI badge on it??? Sure you can. 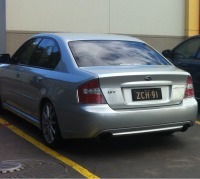 You can even put a Chev badge or an Audi badge on it if you feel that way inclined.